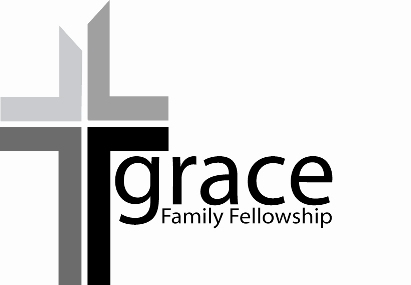 As believers committed to God and walking in obedience to Him, we affirm the purpose of Grace Family Fellowship's media ministry, which is to teach biblical truth with clarity, taking advantage of various means of mass communications to expand the sphere of Grace Family Fellowship's teaching ministry. We use media to expose Grace Family Fellowship's teaching to as as wide an audience as possible "for the equipping of the saints for the work of service, to the building up of the body of Christ; until we all attain to the unity of the faith, and of the knowledge of the Son of God, to a mature man, to the measure of the stature which belongs to the fullness of Christ" (Ephesians 4:12-13). One of our principal tasks is to protect believers from being "tossed here and there by waves and carried about by every wind of doctrine, by the trickery of men, by craftiness in deceitful scheming" (vs. 14). We accept the God-given responsibility of "speaking the truth in love" (vs. 15) and strive for the growth of the church and glory of the Lord, rather than the praise and honor of men. Media ministry is not to supplant our obligation to belong and participate in the local church, but to support it by providing additional resources for those hungering for the truth of God's Word. Media ministries can never substitute for involvement in a biblical church, group Bible study, or interaction with a teacher. Our media ministry is viewed simply as an extension of our local church ministry to aid in the broader edification of the church locally and universally. Our desire is that God be glorified through Grace Family Fellowship's media ministry. The Lord Jesus Christ is the Head of this ministry, and we desire to perform our work as unto Him, to reflect Him to all those we encounter, and to operate not in our own strength but through His power (Philippians 4:13).